The water park is a place for relief and rejuvenation when the summer months become unbearable. 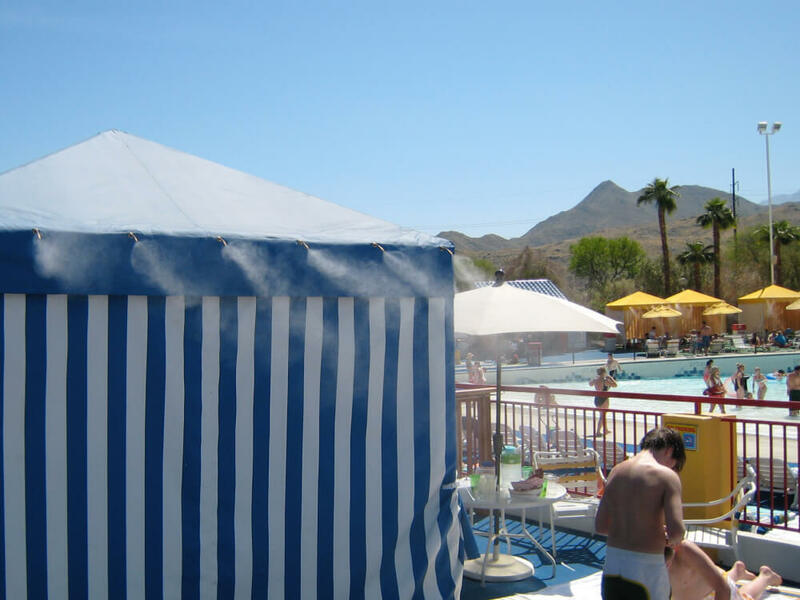 Koolfog misting systems are used in water parks to provide cooling to guests and their families. 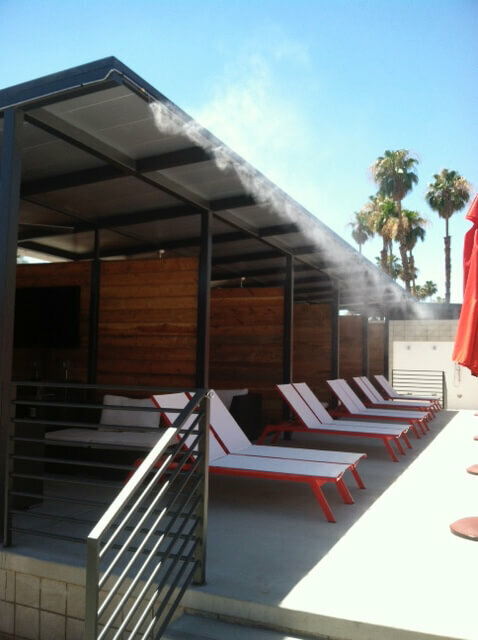 Private cabanas with cabana misting systems are an excellent way to improve guest satisfaction and comfort during a visit to the water park. Create a comfortable space for the adults and children that are unable to or want a break from participating in normal water park activities. 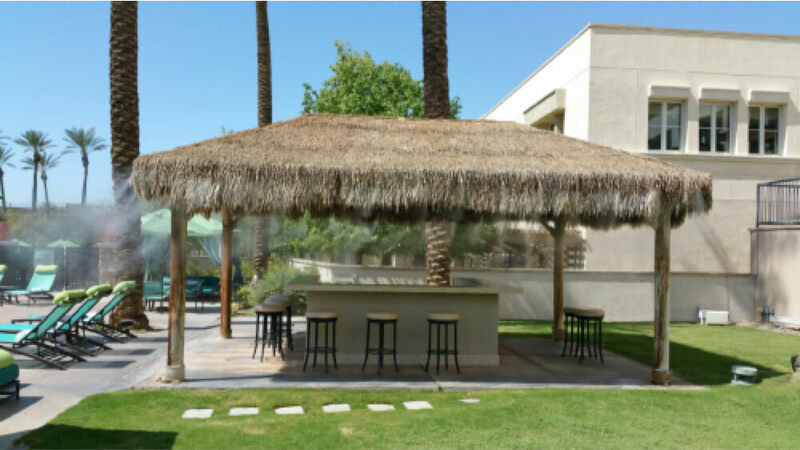 Misting in common areas, dining areas, and cabana misting systems provide cooling zones for guests and their families for a break in the day or as protection. Returning guests are often the result of unique and memorable amenities. Offering a place for the family to take a break, a place for babies and toddlers to nap and a place for parents to enjoy extended stays without having to participate in water rides develops loyal customers. Water parks are the ideal getaway during summer months. From young children to adults, everyone wants relief from the sun, and exciting rides or relaxing pools are highly appealing. However, not everyone has the energy of a kid, and at some point guardians and older visitors will want a break. Sitting on the hot concrete beside the pool in order to rest or watch over children who continue to play is not an ideal solution. This ineffective and uncomfortable situation is often the reason for truncated visits to water parks. When children are very young, sometimes the very thought of taking them on a daylong outing can compromise any parent’s decision to go. Trying to manage nap times and persistent eating breaks often ends with more exhaustion than upon arrival. Offering a quiet, cool misted area that is separated from the eclipse of pools, slides, rides, and attractions can sway the on-the-fence family who envisions a day full of stress rather than a day full of fun. It also creates additional revenue opportunities through value-added services. 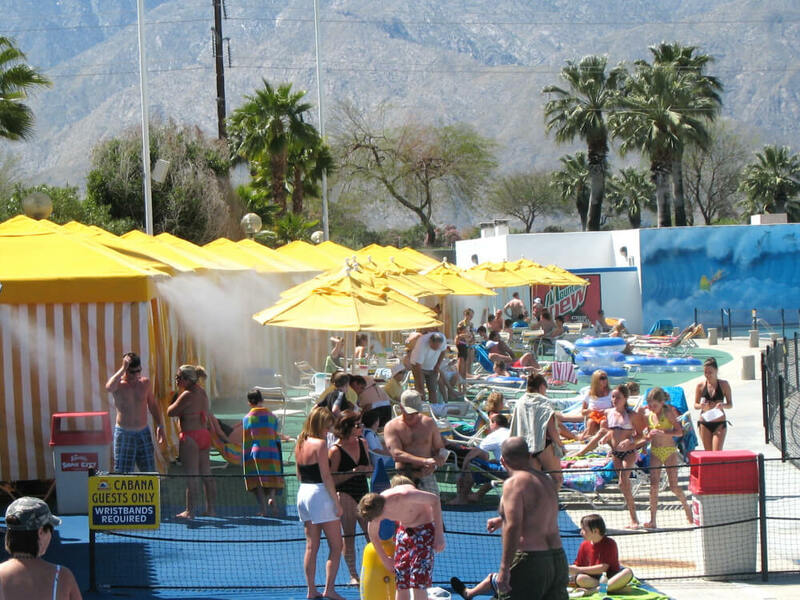 The water park provides relief from the heat during the hottest of summer months. 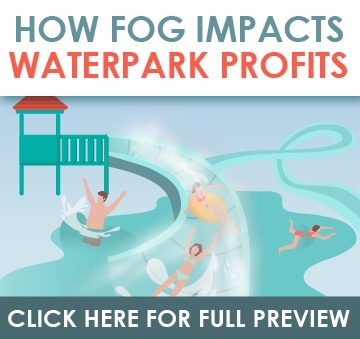 As water parks continue to integrate more excitement filled attractions, rides, and slides, they are also adding resting centers and a greater choice of dining areas to service to a wider range of guest needs. However, creating relief during your peak season when the weather is hot can be a challenge. 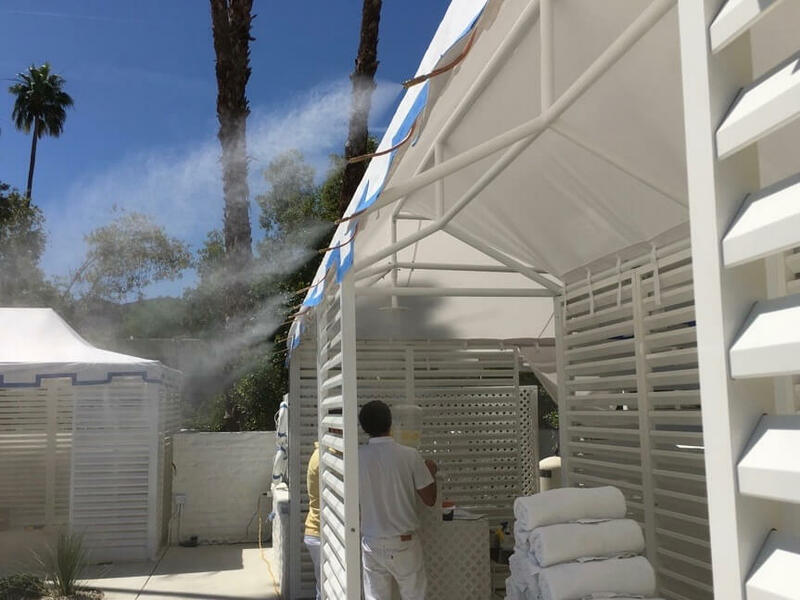 Integrating misting systems for cabana cooling and common areas can soothe your guests while adding to your theme of relief. This problem can be alleviated by the implementation of cabana misting systems. Parents, grandparents, and other more mature visitors will luxuriate in the cooling mist and shade, while still keeping an eye on the young children.